GOOD NEWS! We opened a new shop in Girona! We were so excited to come back to one of the most international and emblematic cities of Spain. Girona is one of the favourite tourist destinations for the Spaniards and Europeans because of the magical historical city centre, the delicious gastronomy and the fabulous Costa Brava beaches. The increasing popularity of the city these past years is a result from several recognitions likeThe Most Romantic European City Award given by the European Best Destinations last year, or the prestigious award World’s Best Restaurant 2015 given to El Celler de Can Roca by Restaurant Magazine. Moreover, this summer 2015 the city has been the stage of the sixth season of the world famous HBO series Game of Thrones. We love Girona and we want to be part of this wonderful city again. This time, the shop is located in one of the most romantic streets of the historical centre, 3 Besadó Street, next to the Rambla de la Llibertat and between the river and the Cathedral. The new space have all the ingredients that define the brand personality: symmetric walls, warm materials, pronounced lighting and simplicity of details. 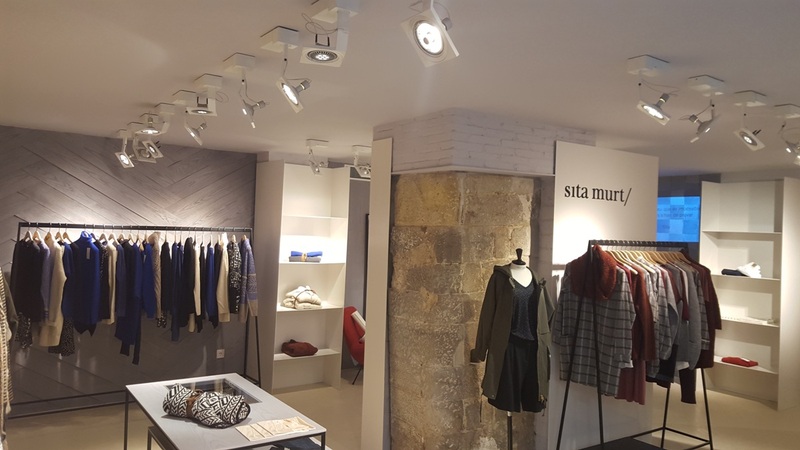 This is our first shop opening of the year and all the Sita Murt team is eager to open the next!